This page will attempt to explain what "Bokeh" is by showing you some samples taken with various lenses, at different apertures, focus points, and areas of the image. 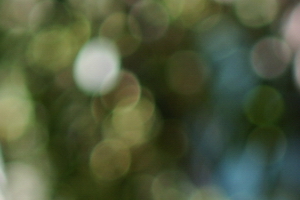 Bokeh is a Japanese word used to describe "fuzziness," or in our case, the characteristics of out-of-focus points of light in our images, either foreground or background. Most of us shoot with the foreground sharp, and the background blurred, this looks natural and most people associate "Bokeh" with background blur, but you can also have foreground blur,which looks weird to me, and other people too. Just because a background is out-of-focus and all blurred out doesn't mean it's going to be smooth and pretty; often it can be harsh and distracting, and most of this is a result of the lens design. 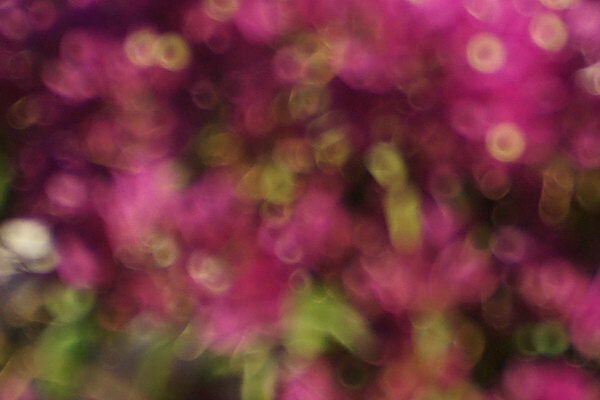 In this article, we'll stick to the artistic points of Bokeh, and not worry about lens design constraints and other technical issues that affect Bokeh, and can't be user changed anyways. Above is what you would consider harsh bokeh. It looks like donuts, with hard, outlined edges. This is very distracting, especially when you want someone to concentrate on a central subject, like a bird or animal. 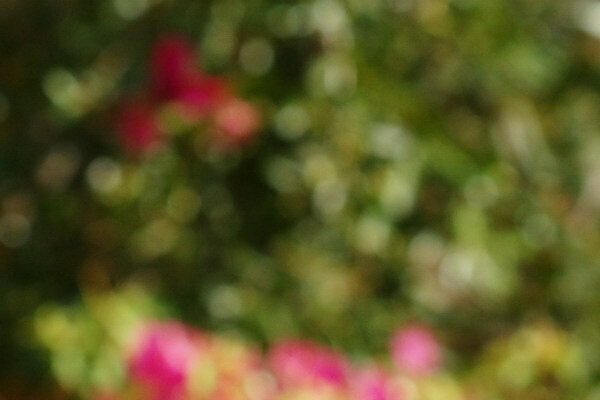 This type of bokeh is very similar to what a reflex lens produces, like the Sony 500mm F/8. Sometimes it's so bad, it starts to generate artistic value. 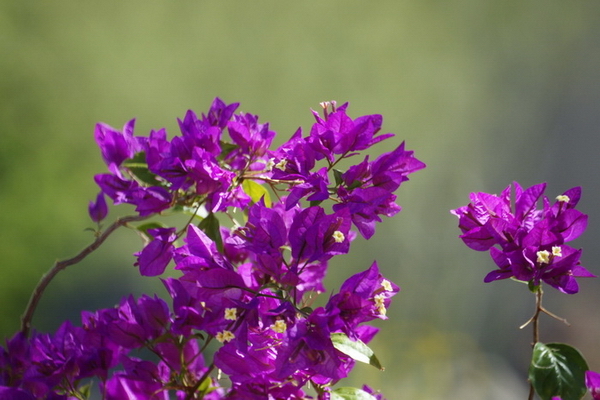 This is a shot from the Sony 70-200mm F/2.8 G lens, taken at F/4, 70mm. It's neutral to slightly smooth, and looks good to me. It shows a smooth, even disk, slightly soft with no noticeable outlined edges. 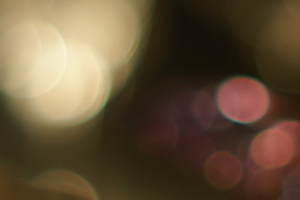 This is a fairly typical bokeh rendition of a more expensive fast lens. 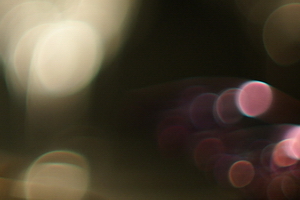 Here is an example of a super smooth bokeh. It's from the wonderful Sony (Minolta designed) 135mm F/2.8 STF lens which is probably the best lens produced today for wiping out backgrounds. 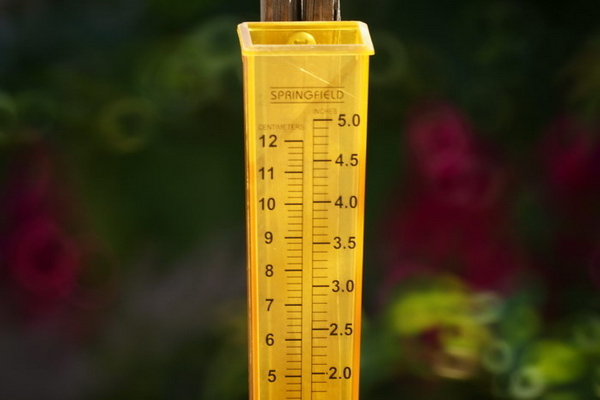 Sony uses a fancy lens element and extra 10 blade stepless aperture to produce this effect. Notice how everything is soft and diffused, and almost is a nice picture in itself! It's the same basic scene as the other two images above. 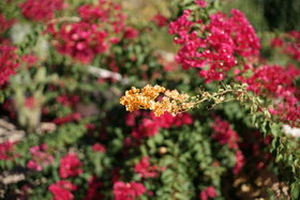 When the out-of-focus highlights are in front or behind the subject, the bokeh can be rendered differently. 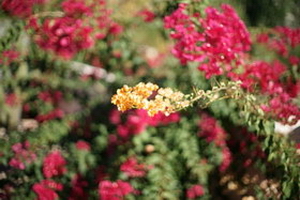 The crop on the left shows a harsh background bokeh, the same lens on the right crop shows a smooth foreground bokeh. Some lenses do this, some don't. Common accepted wisdom on this subject is; if the lens displays poor bokeh for the background, it will show smooth bokeh for the foreground. I don't always see this. 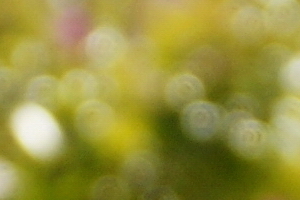 The lens used for the crops is the Minolta AF 100-200mm F/4.5. 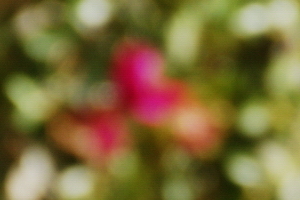 Above samples are indicative of bokeh from (usually) less expensive medium zoom lenses offered by Minolta and Sony. 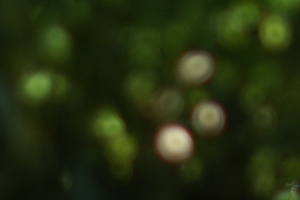 The single dot in the middle look (left) isn't noticeable in newer lenses. 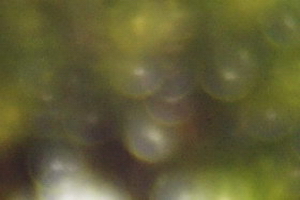 In this crop we see the aperture shape show up, see the heptagons, or seven sided polygons? I used the Sony 50mm F/1.4 lens, at F/4. This lens has a circular aperture, but has seven blades, which don't really form a good circle at smaller apertures, a nine bladed aperture would be more round at F/4. Just because the lens has a circular aperture doesn't mean it will have a circular shape in the highlights when stopped down. Here's a fascinating tidbit not really related to bokeh. 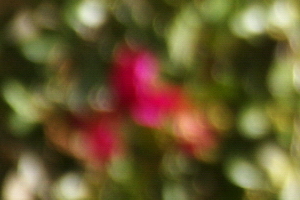 When the foreground is blurred, you'll get red outlined highlights, with the background blurred, you'll get green outlined highlights, this is called spherochromatism, and usually goes away as you stop down, and is mostly noticeable on fast lenses when used wide open. Crops from the Sony 50mm F/1.4 lens, @F/1.4. 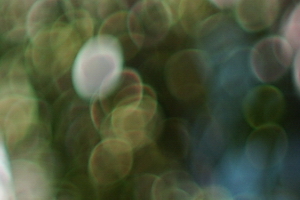 The left crop above is what's known as "swirling bokeh." It looks like the background is spinning. When you stop down the aperture, it goes away. 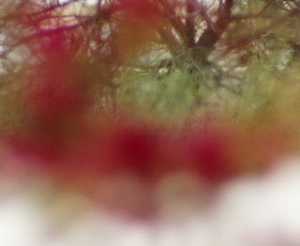 Many people have never seen this, because it only shows (usually) at full wide open aperture, and when the whole frame has the same type of detail, like the bush displayed here. Crops from the Sony 50mm F/1.4 lens. 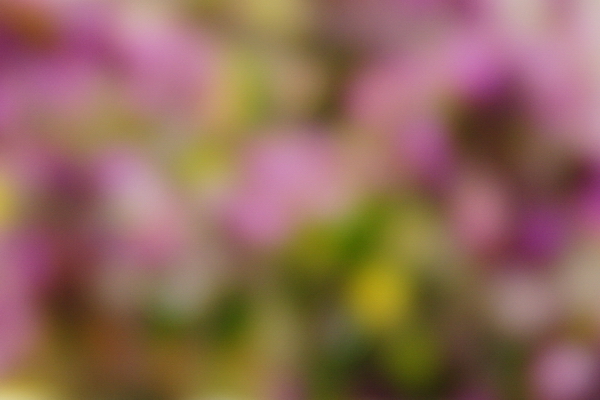 This is how bokeh is rendered on the Sony 500mm F/8 reflex lens. This lens uses a small mirror up front to redirect light back down into the camera, and partially covers the front element, that's why you get the ugly donut shaped highlights. In this image, the subject is close to the background. 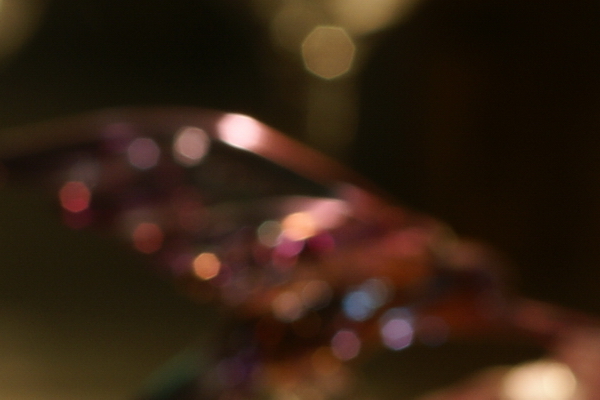 This is the same lens, but focused up close, with a far off smooth background. Some people look at their images and decide their lens bokeh is smooth like this, but you're not seeing the character of out-of-focus highlights, which is what this page is about. Any lens will show a smooth background given the right conditions. 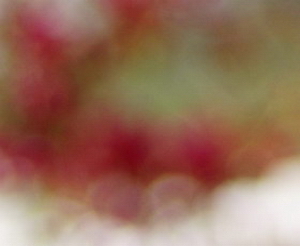 Aperture shape has little to do with the look of out-of-focus points of light. Also, just because a lens has a circular aperture doesn't mean it will produce a round point of light when stopped down. I hope this article helps you understand what "Bokeh" is, and more importantly, explains the differences in actual shooting.